SOMOS ARQUITECTOS PUBLICATIONS: PANORAMA ARCHITECTURE NEWSPAPER. A LIGHTHOUSE TO THE CITY OF MADRID. PANORAMA ARCHITECTURE NEWSPAPER. A LIGHTHOUSE TO THE CITY OF MADRID. SOMOS.arquitectos published in PANORAMA ARCHITECTURE NEWSPAPER, 2009.10. 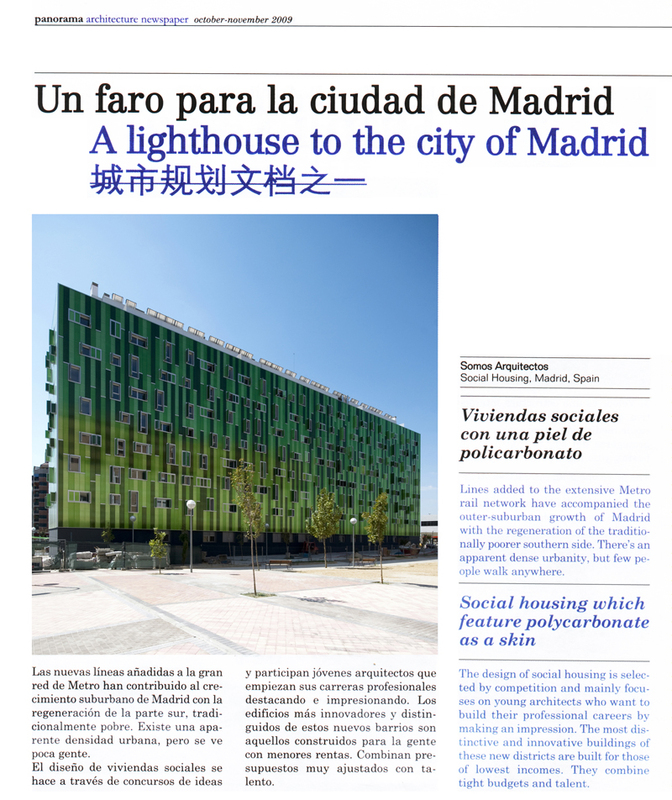 123 social housing in Vallecas 51 mentioned in Panorama Architecture as a new lighthouse to the city of Madrid.